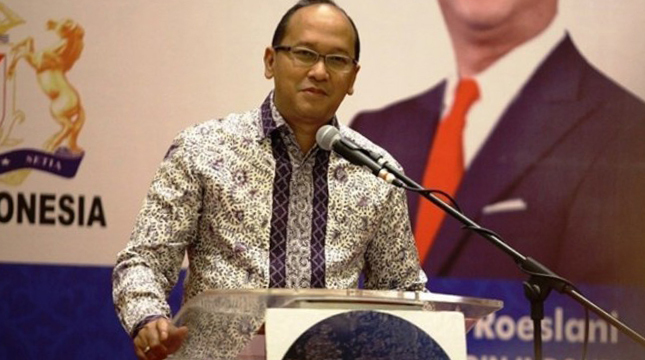 INDUSTRY.co.id - Jakarta, Chamber of Commerce and Industry (KADIN) Indonesia expressed appreciation to the government that seeks to build infrastructure to strengthen connectivity. "We know that we have been lagging behind and to catch up with this, infrastructure development must be done not only in one sector, such as toll roads or ports, but overall," said Kadin Chairman Rosan P Roeslani in Jakarta (5 / 6/2018). According to Rosan, infrastructure development must be done throughout Indonesia to state economic development and prosperity. He emphasized that the positive impact of infrastructure development is not only felt in the short term, but a significant long term for economic equity. "Of course, in the development of this infrastructure, of course, more focused in order to reduce logistics costs, so for the logistics and business centers it can be given more priority in the framework of infrastructure development," said Rosan.